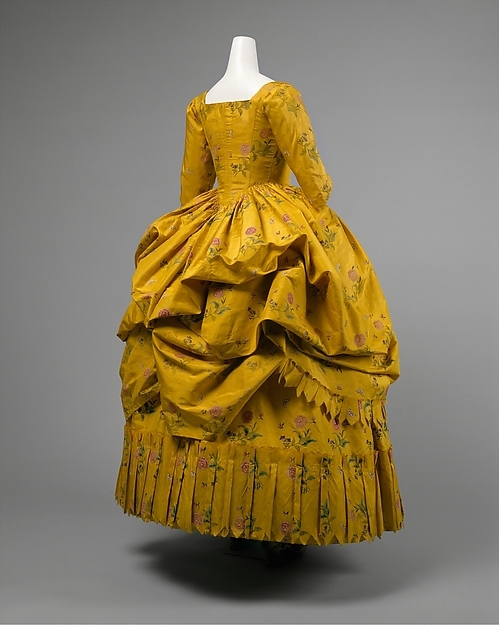 I've been obsessed with bright yellow 18th century (and Regency) gowns for awhile now, and yet I still don't have one. The marigold hue is swoon-worthy, but also intimidating, but now it's time to finally go there, with my own BrightAssYellow English gown. Here are my inspiration images of English gowns / Robes a l'Anglaise. 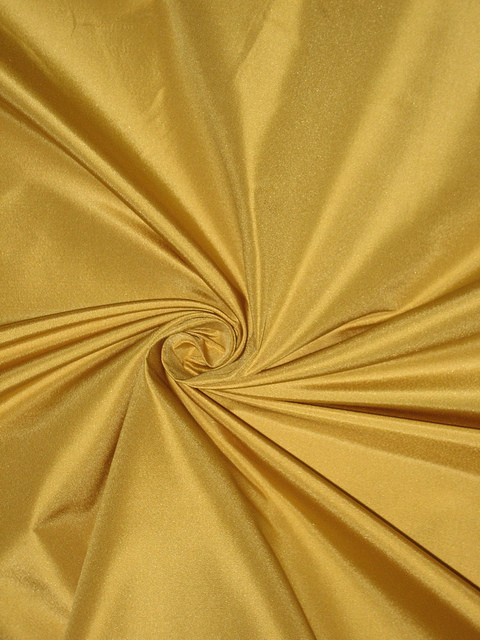 For the sake of not burning your retinas with *too* much sunny glory, I'm restricting my show-n-tell to just English gowns today, but there are *gobs* of other garments - sacques, caracos, redingotes, robes a la polonaise - in all shades of yellow, too. 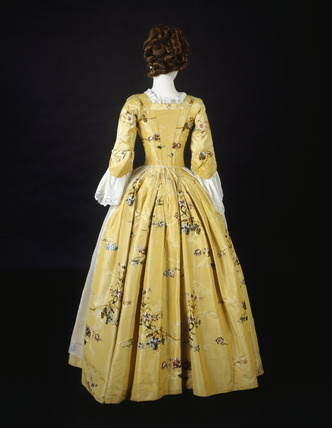 The Met, c. 1776 - a much softer yellow with a lovely floral motif, and lovely narrow back pleats. 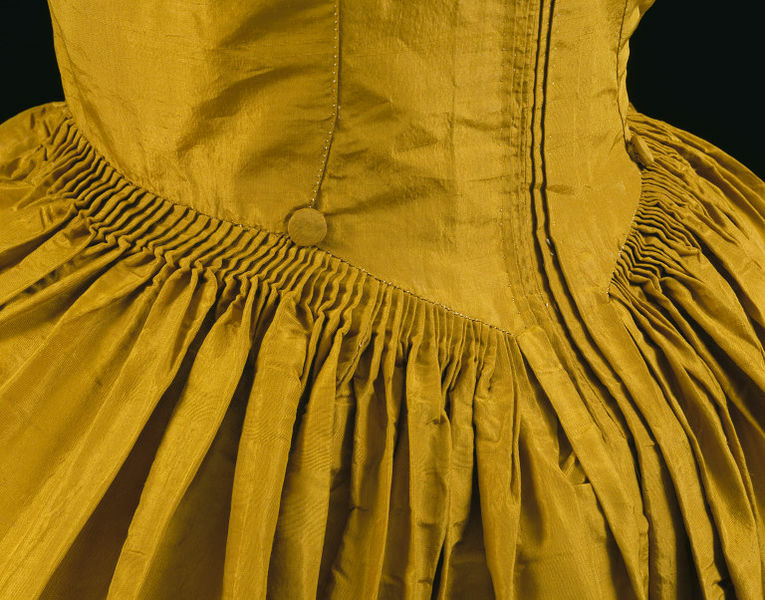 V and A, 1774 - this has a different pleating pattern on the back, and buttons for looping up the skirt. The Met, 1780-85. 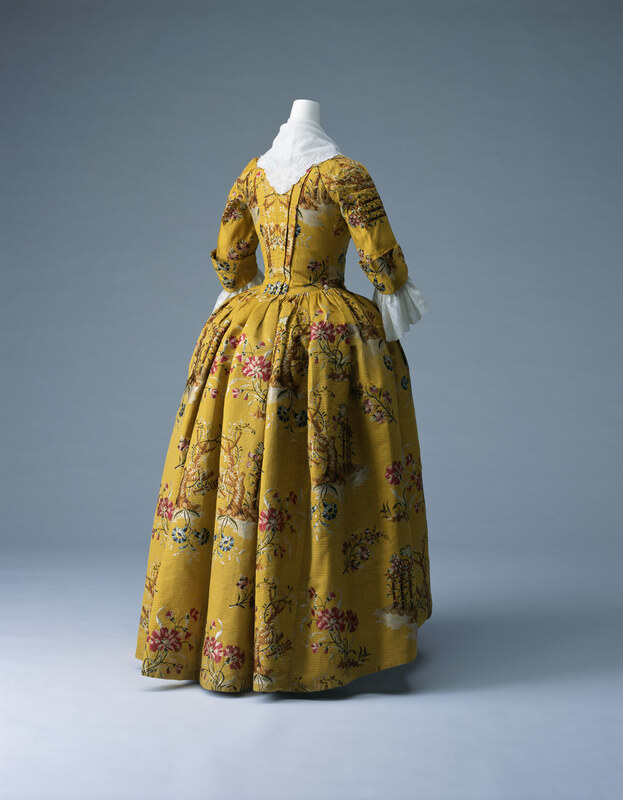 This one is a Robe Retroussée, an English gown (Robe a l'Anglaise) with the skirts pulled up like a Polonaise, but there is a clear waist seam and pointed back. The back is not pleated en fourreau on this one - it's a later style. 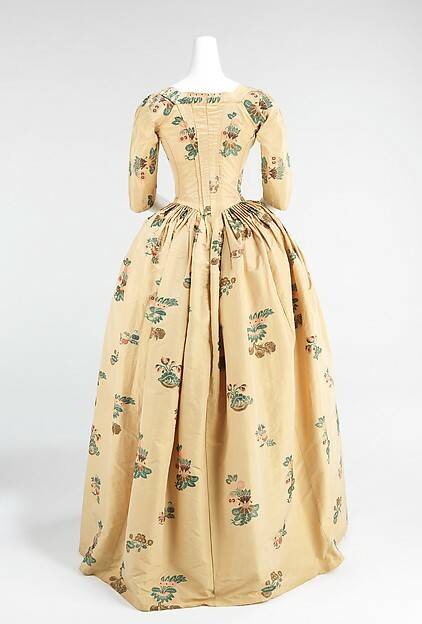 You can see all my English Gown research images, yellow or otherwise, on my Pinterest board here. That's a very interesting project, and I must admit I love this shade of yellow! However it wouldn't fit everyone - e.g. me - it looks lovely, so bright and fresh. I especially love the embroidered versions, pink flowers match the colour perfectly.